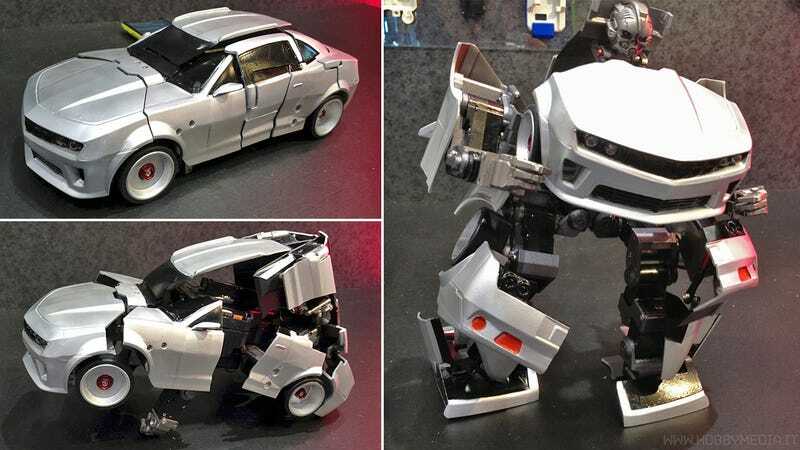 We've already brought you a few clips of Kenji Ishida's amazing self-transforming RC cars, but so far he's only made about ten of them available to the public, at a staggering $24,000 a piece. But there's great news for those of us who've chosen to pay off our mortgages instead of buying a toy robot: Takara Tomy is apparently working with Kenji and Brave Robotics to mass produce these as what will probably be the greatest toy ever. Takara Tomy, a Japanese toymaker with a long history of incorporating cutting-edge technology into its products, was showing these prototypes at its booth at the 2013 Tokyo Toy Show. And while they might not be available until next year at the earliest, they've already found a place at the top of our wish lists.